The Country 4 is a neat, sturdy, yet graceful little fire. The single door gives a complete and clear view of the fire and features a spinning primary air wheel for optimum air control over the burning rate. 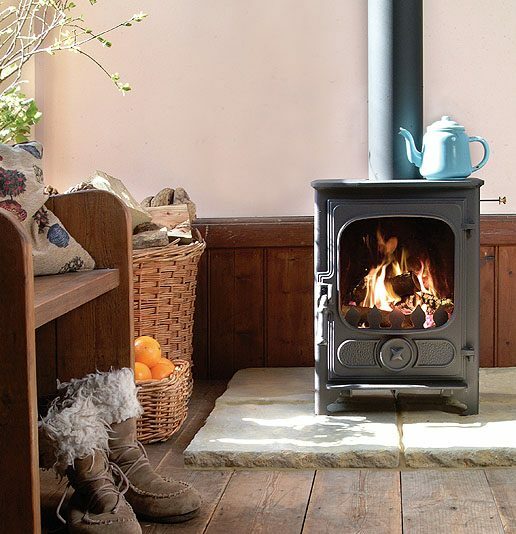 In spite of its size, the Country 4 takes a decent sized log length of 330mm making it a very popular stove choice in the small stove market. An optional boiler can be fitted to heat your domestic hot water. An easy fitted riddling grate is also available should you wish to burn coal based products.